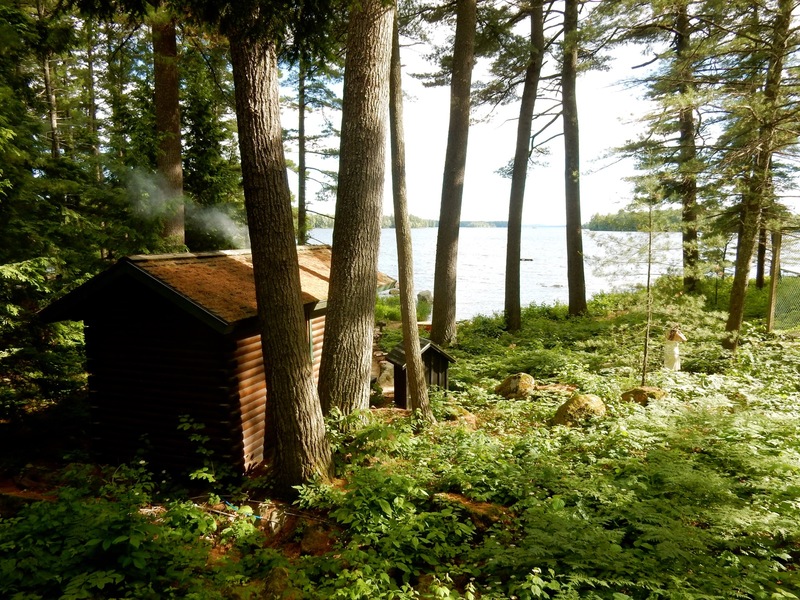 By day’s end, the Sebago Lake (ME) chorus reaches its crescendo – repetitive loon calls, frogs that trill like never-ending car alarms, murmurs of mothers and fathers putting their kids to sleep in nearby cottages – all merging into one great Migis Lodge reverie. 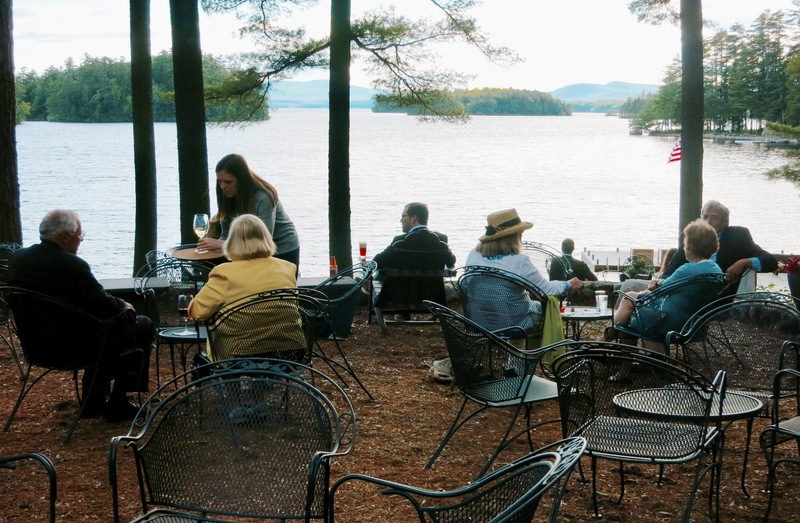 It’s a symphony that singles, couples, and families have been listening to at this upscale but down to earth Maine resort for 100 years. 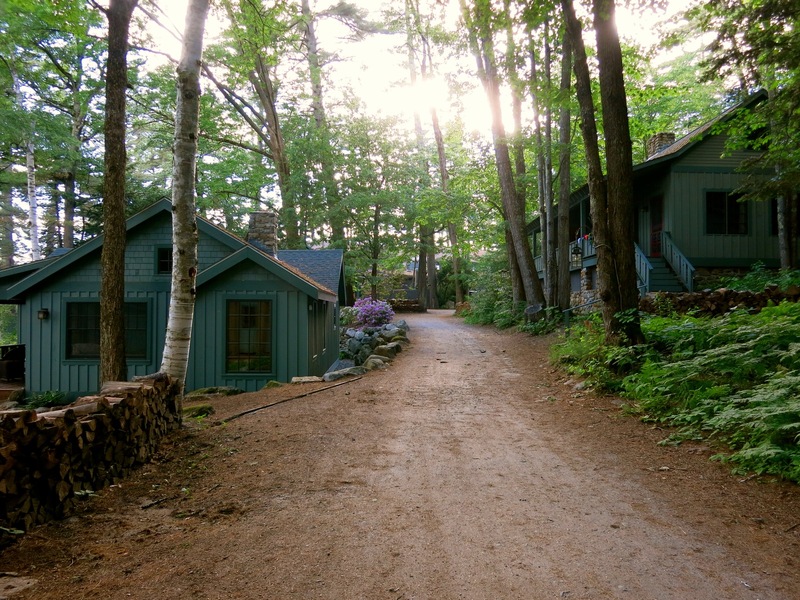 Though there are other ways to access Sebago Lake – camping at Sebago Lake State Park, renting a condo at Sebago Point, staying at non-lakefront hotels on main roads – Migis Lodge is a self-contained summer camp, mostly for a highbrow clientele, but also for those who’ve saved up to splurge, with everything you need right on the grounds. 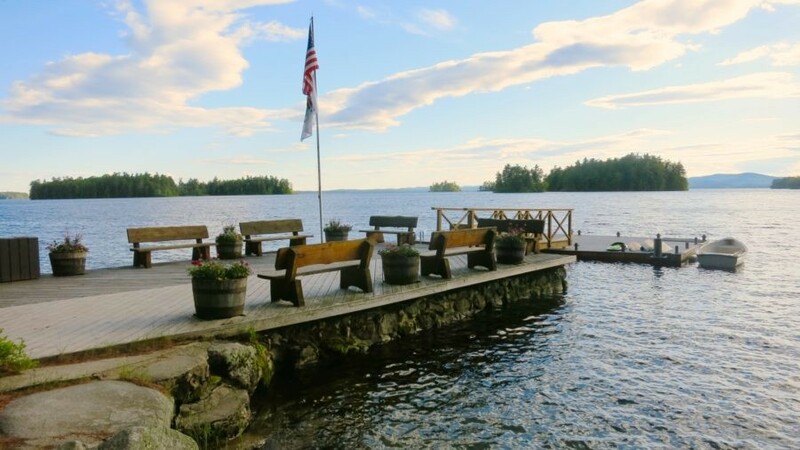 The restaurant is the finest in the area (three meals a day included), and there are many ways to get in or out on the water, from the swimming platform, sandy beaches, canoes, kayaks, sup’s, sail, and motor boats. Legend has it that Migis is Native American for “A place to steal away,” and though that might not be completely fact checked, the translation certainly fits. People have called this place “magical” – which is the real reason guests come every year, generation after generation. Driving in, my first sense of Migis harked back to my days at sleepaway camp in the Adirondacks, with dirt roads and rustic cottages peppered throughout the woods. That initial impression – of moldy towels and hard bunk beds – was quickly dispelled at first view of the country-posh reception area in the Main Lodge with its view of the pristine lake, and the incredibly personable, anticipatory Migis staff and family, which includes, happily, a tropical bird. 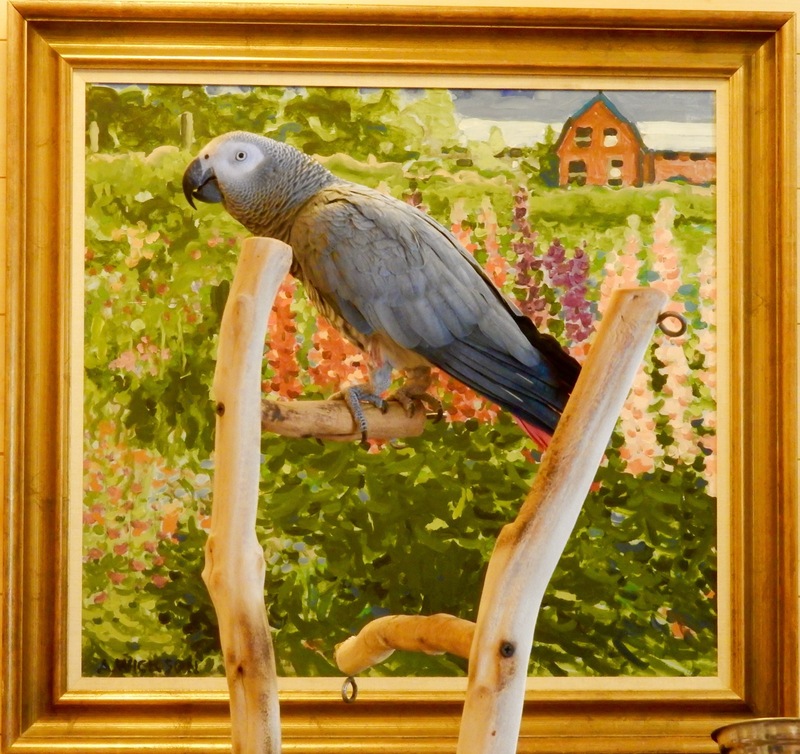 If owners Tim and Joan Porta are around, you’ll meet their African Grey Parrot, “Deets,” who apparently has a vast vocabulary but was mute on the day I arrived. 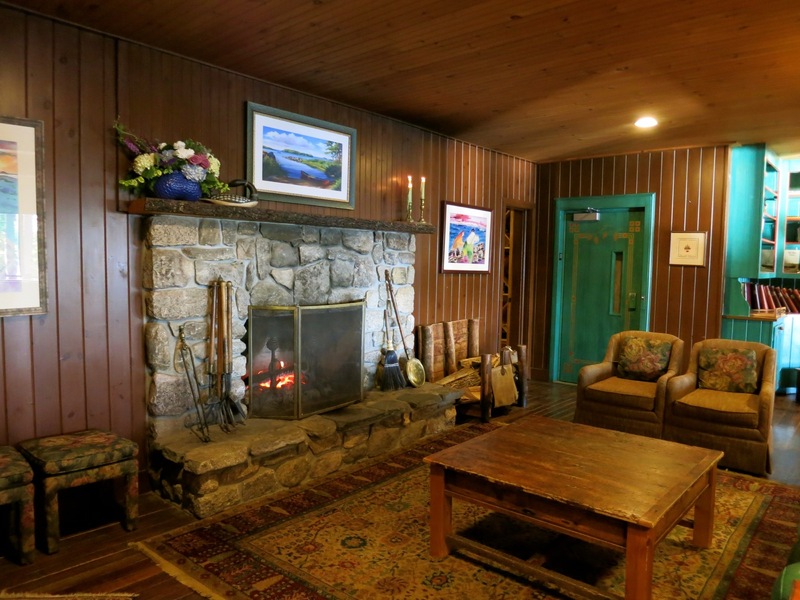 The main lodge features couches in front of a roaring fireplace (all summer long! ), reception, the dining room with outside deck, and upstairs, several guest rooms. As I checked in near the dinner hour, I saw men and boys, dressed in jackets for dinner (required), appearing as if they’d just walked off a Ralph Lauren shoot. Cottages are upscale-country, with great internet service, lots of outlets, travertine marble tiled bath and showers, and cathedral ceilings. 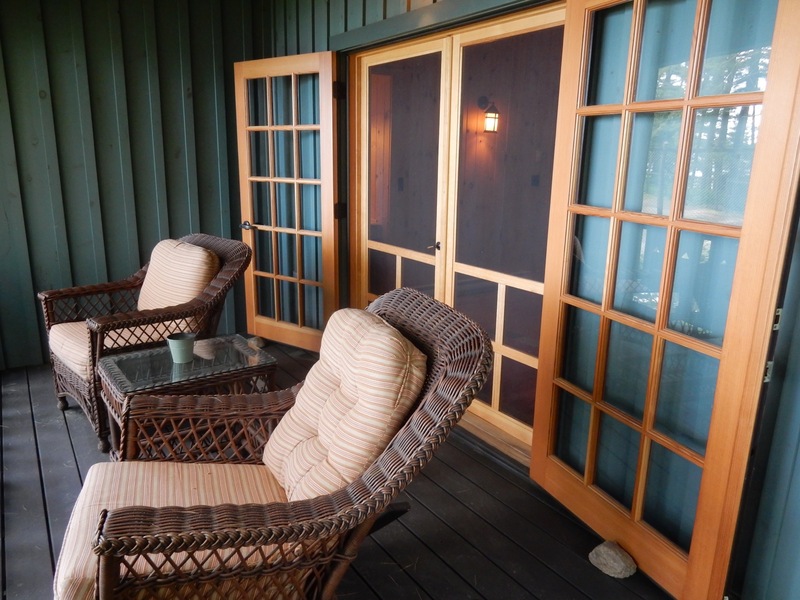 Daybreak, a one bedroom cottage overlooking the resort’s sole sweat-lodge – aka a dry sauna hut heated by firewood, its little chimney pumping out smoke – also has a living room with fireplace and porch with views out to the lake. 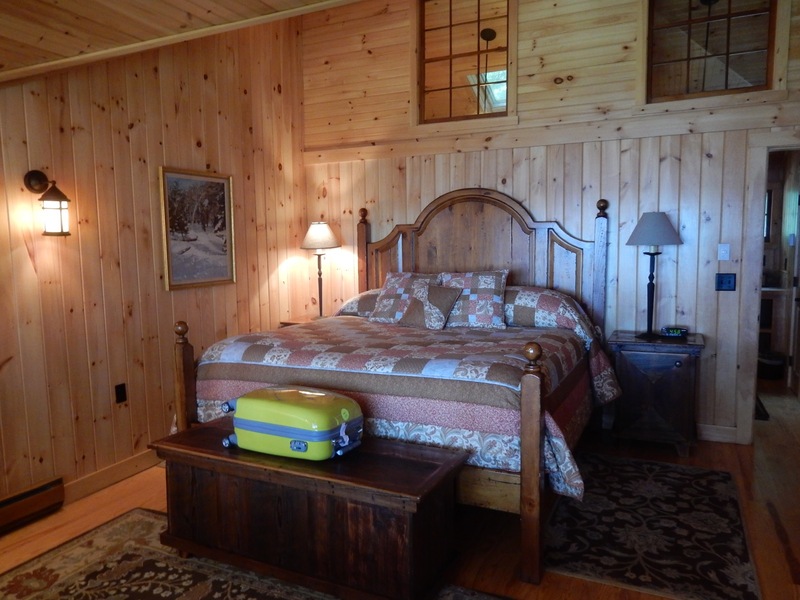 All cottages and houses have been refreshed, some with renovated bathrooms, and are kept up and furnished as befits first-class lodging. Three meals a day are included in the cost of a stay. Breakfast and lunch are informal affairs, but Migis has kept up its dress-for-dinner tradition. Men must wear jackets – and for women, resort casual dress applies. 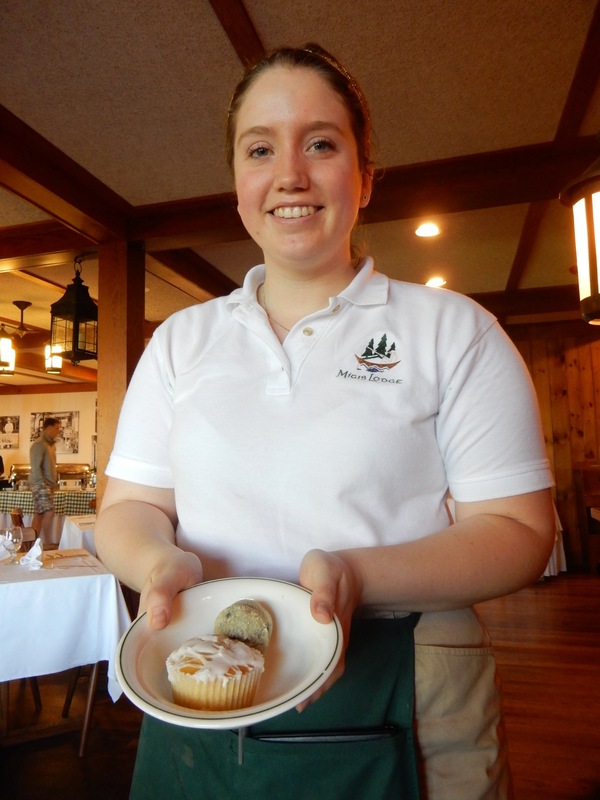 Seasonal wait-staff, like the genuinely friendly Anna Bolduck, are unpretentious as can be, and make sure that everything goes well, and is to your liking. Each 5-course dinner includes a starter, salad, soup, main dish with side, and dessert, which you choose from a menu that changes often. On the menu the night I dined were old-fashioned favorites like Pan Seared Cod Loin, Veal Oscar, and Baked Lobster Thermidor. But chefs are adept at catering to a variety of dietary needs – so vegans will find several options, like the Vegetable Pad Thai, as well. I could have slurped down several bowls of Wild Mushroom Ginger Soup, a sweet and hot consommé loaded with chunks of al dente mushrooms. 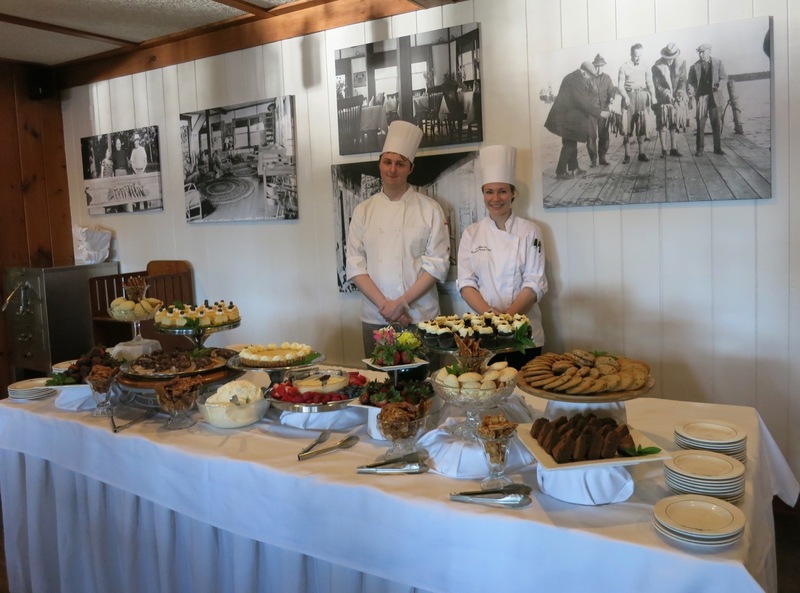 A groaning dessert table, presided over by two young pastry chefs, featured Migis Lodge’s signature chocolate chip cookies and almond brittle, among other delectable desserts. This is not the place to start (or even adhere to) your diet. 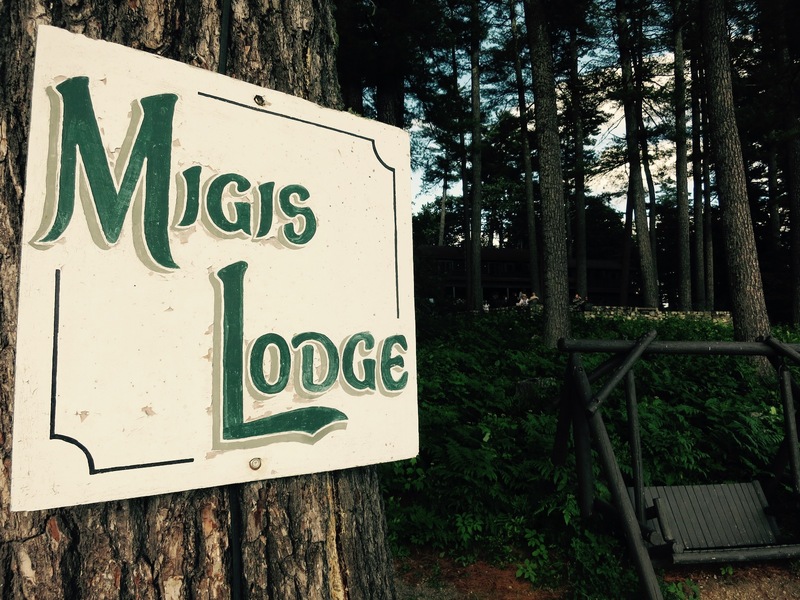 Migis serves most meals in the dining room, but does have its annual traditions. Wednesday Lunch is “Island Cookout Day” – when guests are taken to Migis Island for a swim and meal. Every Friday Evening, it’s the popular Lobster Bake. Saturday night is Buffet Night, and Sunday morning brings Breakfast Cookout at the Point. 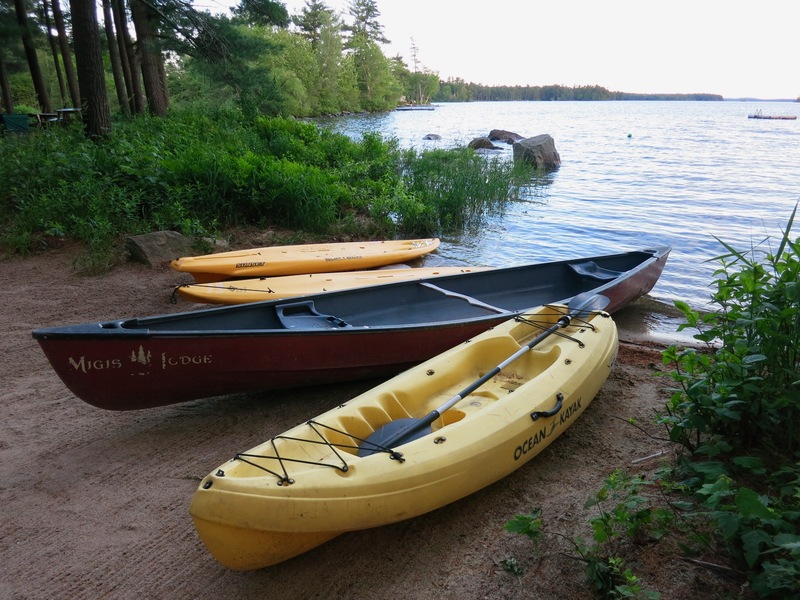 Explore Lake Sebago via kayak, rowboat, SUP, or canoe (complimentary use), or motorboat (nominal fee). 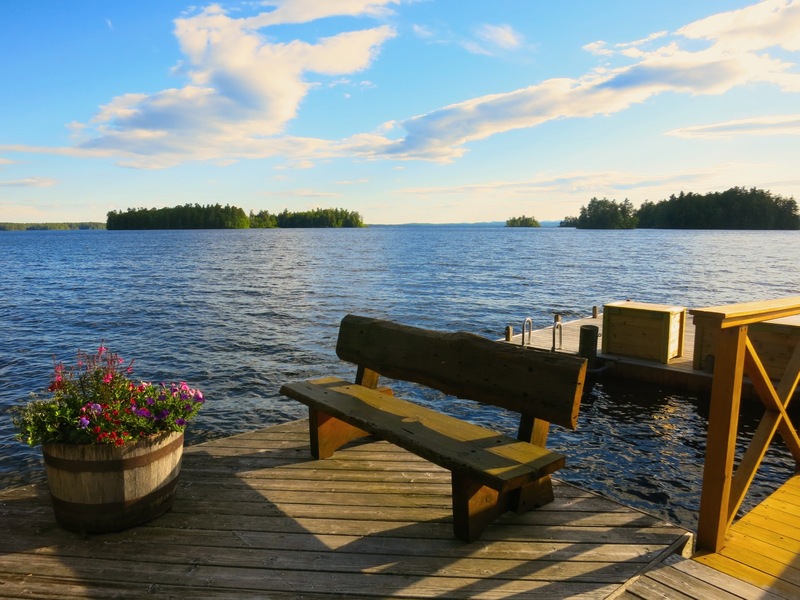 You can spend a whole day on the 5 mile by 7 mile lake (43 miles of shoreline!) 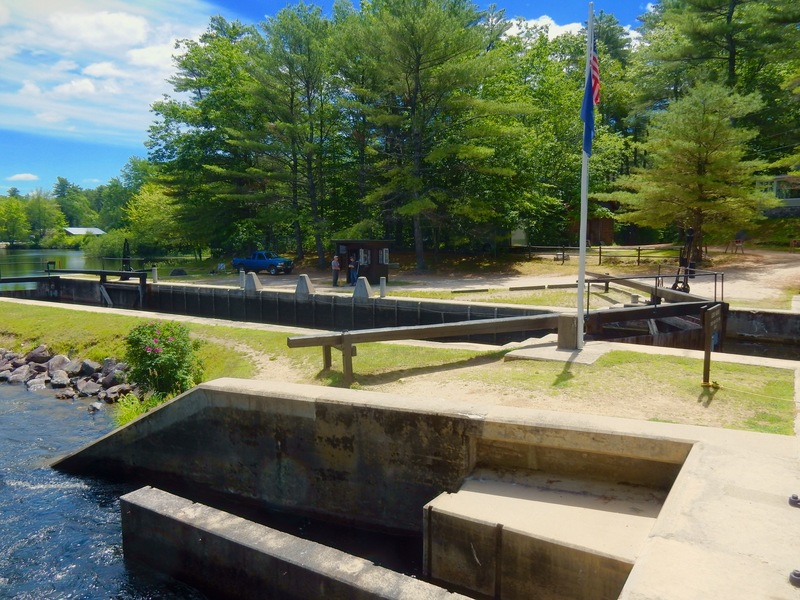 paddling, rowing or motoring to Eagle Island (protected, with lots of Bald Eagles), Frye Island (where locals used to jump off the cliff at “Frye’s Leap” – no longer allowed), or spend most of the day cruising from Sebago to Long Lake via the Songo River and it’s one ancient lock. It’s a bucolic ride to the lock and its adjacent hand-cranked swing bridge– either by car (very fast) or boat. If Migis takes you back to a simpler time, this bridge and lock experience will cement you there. (Songo Locks are open May 1-June 15, and Labor Day to Oct 15 8am-4:30pm, and June 15-Labor Day 8am-7:30pm. 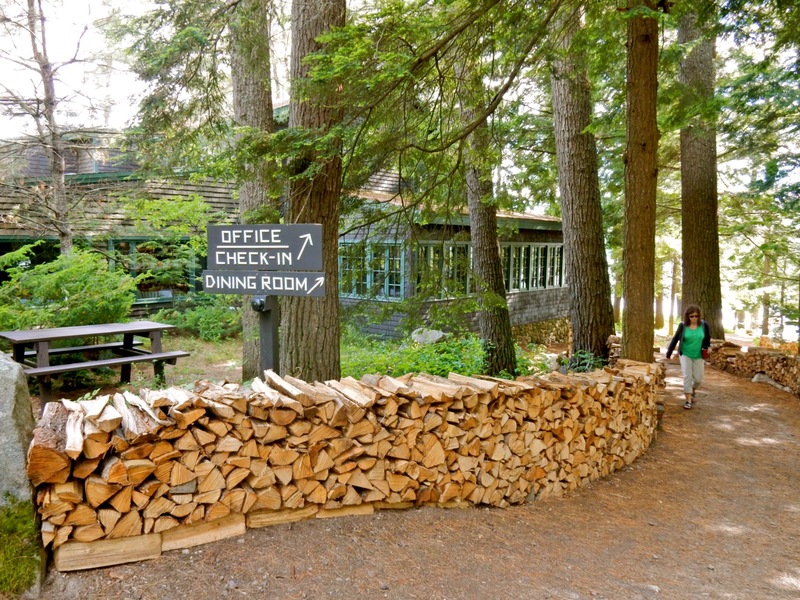 Weekly activities are part of the fun here, and are included in the nightly room/cottage rate. There’s a Migis Cocktail Party on Mondays (complimentary cocktails), A Lake Cruise on Tuesday and Thursday, Bingo on Wednesday Night (with great prizes! ), and Karaoke after Friday’s Lobster Bake. 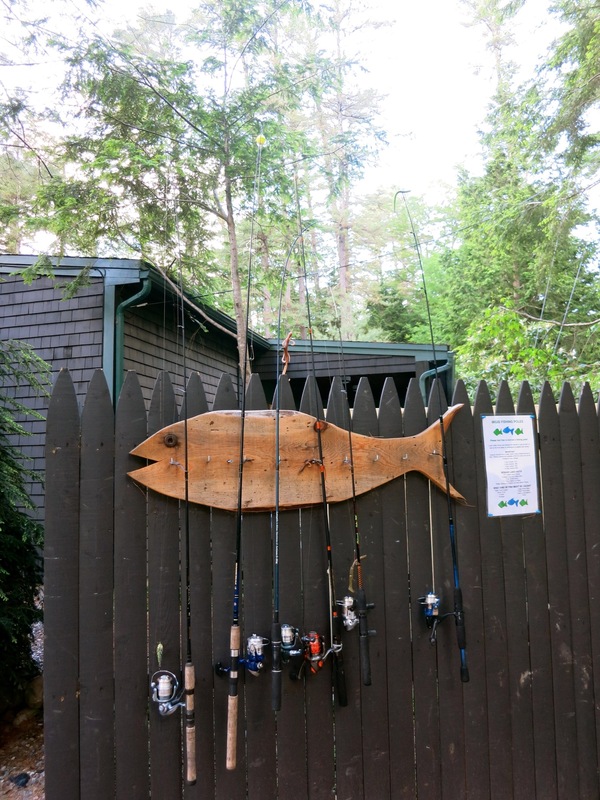 Besides the above, Migis offers water-ski and wakeboard instruction three times a day, and fishing poles for those so inclined to drop a line. 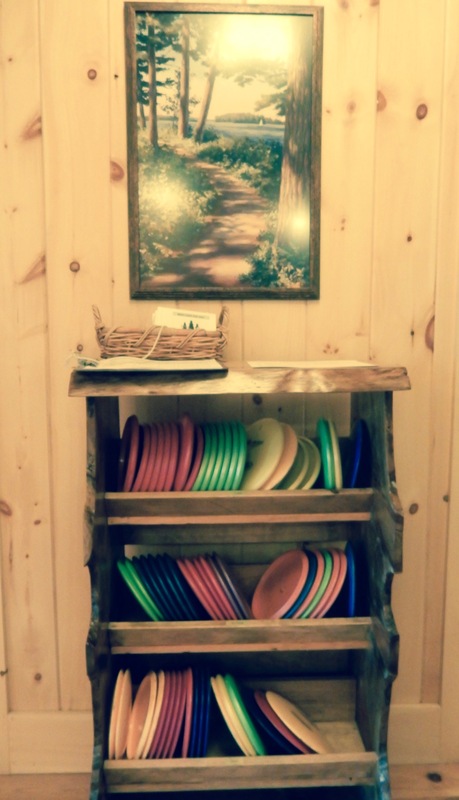 There are several tennis courts and a 9-hole Disc Golf Course with equipment loaned for free. 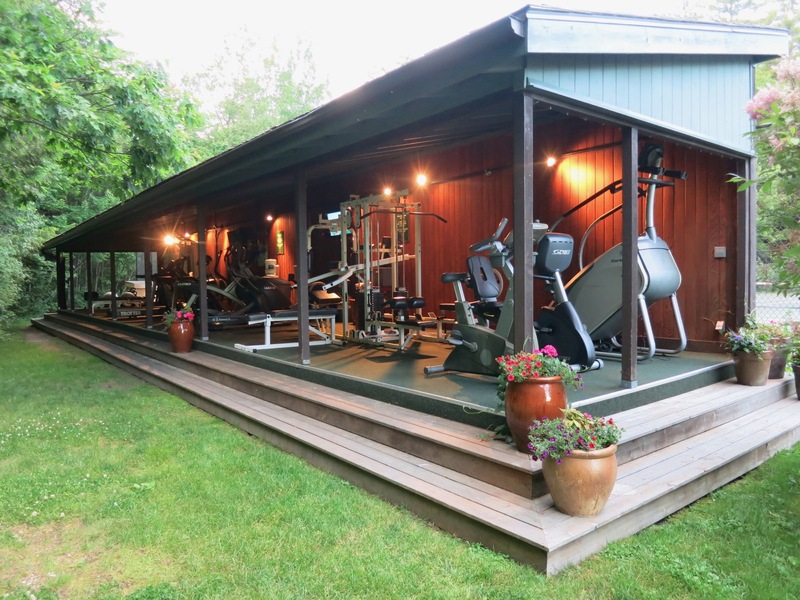 The open-air Fitness Center has the most updated machines. 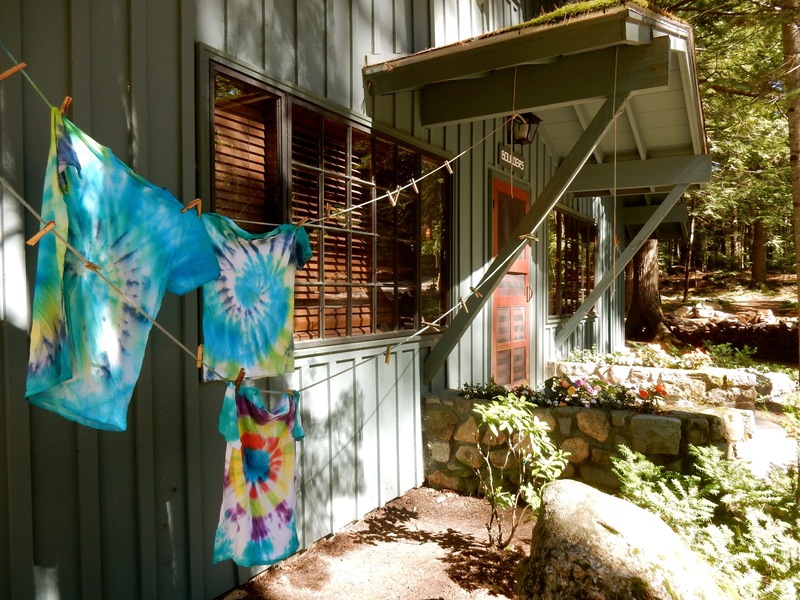 And the supervised children’s programs keep little ones busy, with hands-on activities like tie-dying and crafting. Rates range from $334-$434 per person per night in summer and $204-$296 from after Labor Day to mid-October (depending on accommodation), and includes three meals a day, complimentary use of non-motorized watercraft, children’s programs, fitness center, Waterskiing and Wakeboarding group instruction. Though open seasonally from Father’s Day weekend in June until Columbus Day Weekend in October, high season is July and August. 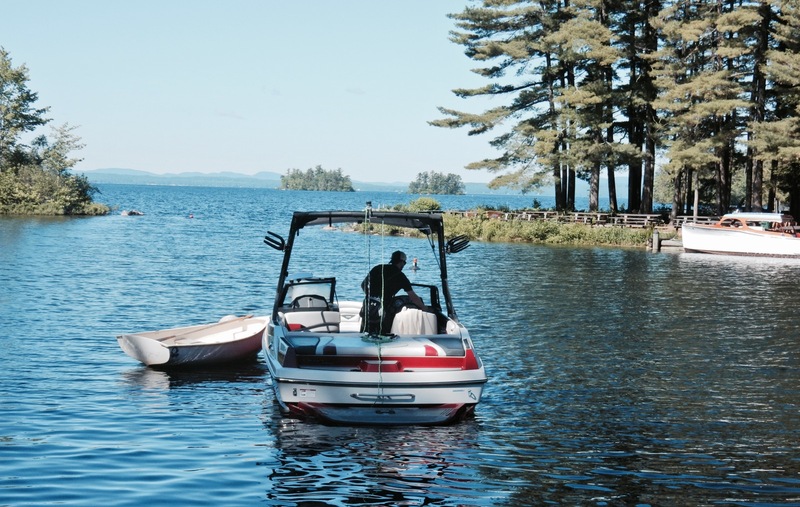 To avoid crowds, the best time to come is in mid June or September, when the weather is still warm enough to swim – or at least take advantage of the lake. Just be warned: Migis takes check or cash only for payment. No credit cards. This place is awesome. It’s so vintage looking that it has turned to one of my favorites. The fishing reels photo is luring me over that. Are you sure with the costs? It’s seemingly a bit expensive though it includes lots of fun.